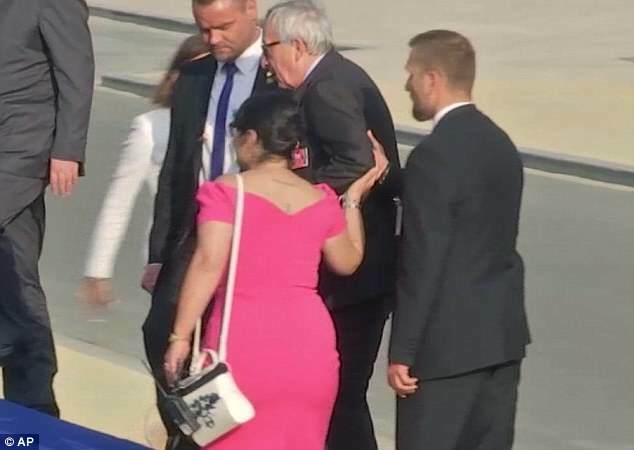 Jean-Claude Juncker was seen stumbling, walking awkwardly and losing his balance several times ahead of a gala dinner Wednesday. The European Commission President was attending a dinner at the NATO summit in Brussels attended by US President Donald Trump and a number of other world leaders. 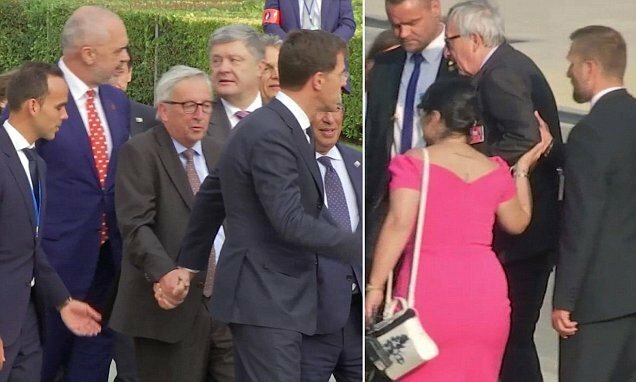 Juncker was stumbling and swaying to the extent that the presidents of Finland and Ukraine, among others, had to help keep the 63-year-old upright. 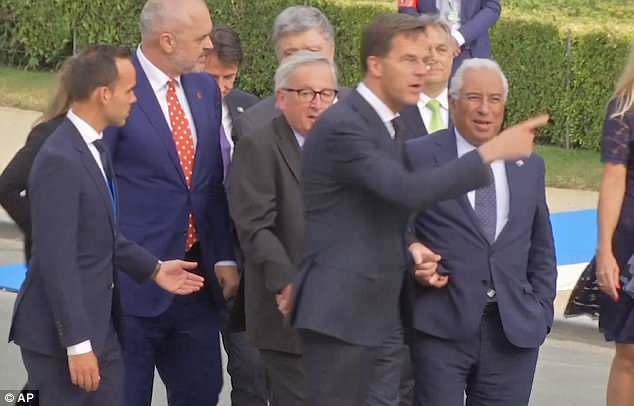 Dutch Prime Minister Mark Rutte also stepped in to guide Juncker. 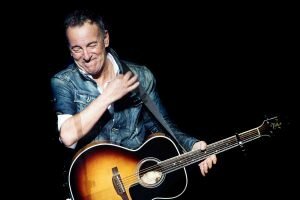 At one point he can be seen looking worryingly precarious as he makes his way off a podium and nearly falling over backwards as he is led away by the arm. 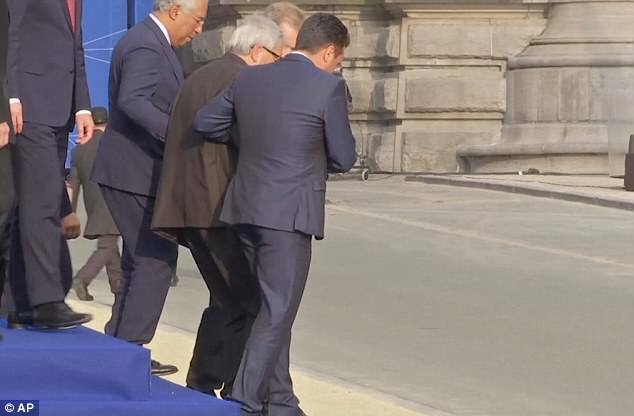 Juncker has previously said he suffers from sciatica, a compression of the sciatic nerve, that sometimes affects his movements. Portuguese Prime Minister Antonio Costa said Thursday that Juncker had complained of back pain. Juncker’s office declined to comment, citing privacy concerns. Leaders of European institutions were invited to join NATO leaders for a meeting and dinner Wednesday night. 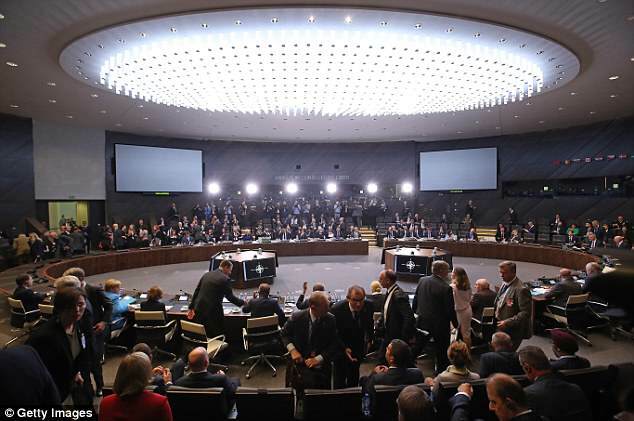 The NATO conference was marred by US President Donald Trump’s suggestions that certain EU countries weren’t contributing the 2% of GDP required towards the NATO budget. The term sciatica describes the painful symptoms when the sciatic nerve, which runs from your hips to your feet, is irritated due to something pressing or rubbing on it. The most common cause of sciatica is a slipped disc – which is when a soft cushion of tissue between the bones of your spine pushes out. Other causes include a back injury, spinal stenosis (a narrowing of the part of your spine where nerves pass through) and spondylolisthesis (when one of the bones in your spine slips out of position). Sciatica usually gets better in four to six weeks, but it can last longer. If you have sciatica, your bottom, backs of your legs and/or feet and toes may feel painful (the pain may be stabbing, burning or shooting); tingly (like pins and needles), numb and/or weak. 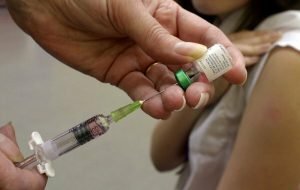 These symptoms may be worse when moving, sneezing or coughing. There may also be back pain, but it is usually not as severe as the pain in your bottom, legs and feet. Doctors can treat sciatica by suggesting exercises and stretches or prescribe painkillers that help with nerve pain. They might also refer you for physiotherapy or psychological support to help you cope with the pain. 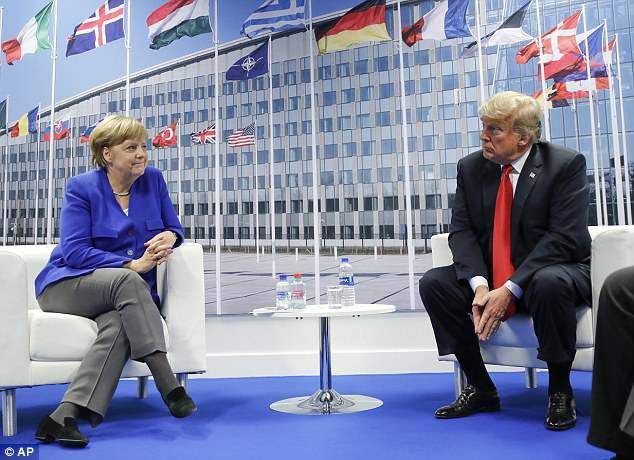 Trump created tension with Chancellor Angela Merkel after publicly berating Germany for its new Nord Stream 2 pipeline agreement with Russia. ‘Germany is totally controlled by Russia,’ Trump said. 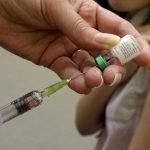 ‘I think its a very bad thing for NATO,’ Trump said. Several EU leaders, including Juncker were quick to kowtow to the President’s demands, saying the EU must ‘take responsibility’ for its security. 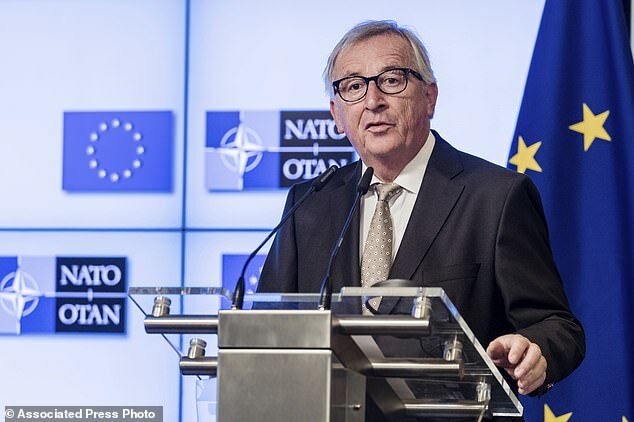 In a statement on Tuesday Juncker said: ‘Europe has decided to take responsibility for its own security. ‘NATO is a cornerstone of that strategy and we are working full steam to implement the 74 joint actions which go from countering hybrid threats to cyber security, defence and research.